3M Cool Flow valve reduces heat build up to offer comfortable protection, particularly in hot and humid conditions. Soft inner face-seal ring provides secure face fit and increases wearer comfort. 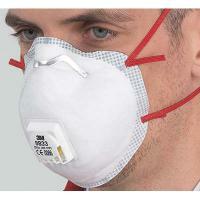 Reliable, effective protection against fine particulates.